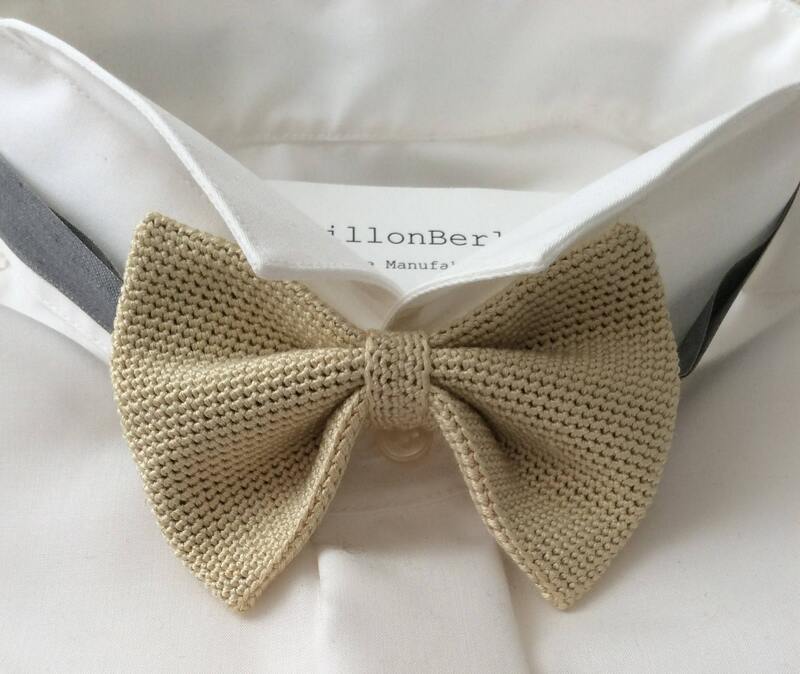 Knitted fly in Champagne/beige of silk, crocheted by hand in our Kreuzberg manufactory. As a band there is either a colour matching band or a 20 euro supplement for a crocheted ribbon from the fly material. For larger order Please note that every fly crochet by hand it can come to a delay. Then send an email in advance to clarify the conditions. ps! The matching cufflinks are available in another offer.